Link building is always the most challenging part of SEO, while also the one most critical to implementing a successful SEO strategy. Backlinks are links from other websites to your website. The number of backlinks, the relevance of the linking pages, and the keywords that are used in the backlinks (anchor text) influence the position of your page in the search results. Links from the same domain only count once. Natural links are links that are given by websites that choose to link to your content. 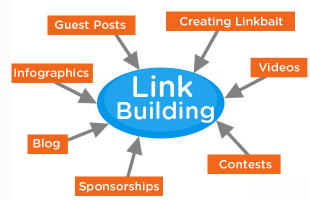 Conversely, outreach link building refers to links created by emailing bloggers for backlinks, submitting sites to directories, or paying for listings of any kind. How many backlinks will we need? Answer – More than your competitors. Start with creating a list of related web sites that you visit on a regular basis. What associates do you / your business belong to? What about your distributors? What about the products that you distribute? The more related web sites you can have link to your site, the better you will rank in Google, etc.